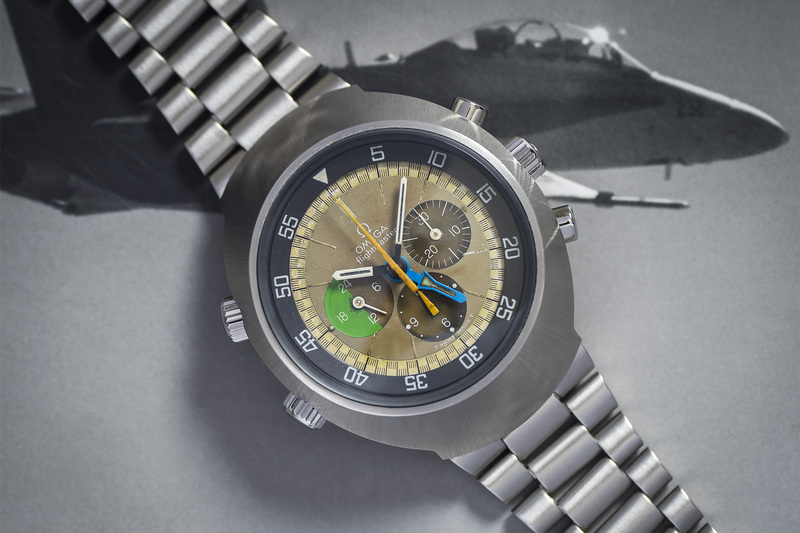 ‘The Omega Flightmaster Specially made for pilots’ – Is what the cover of a 1970 Flightmaster brochure tells us. 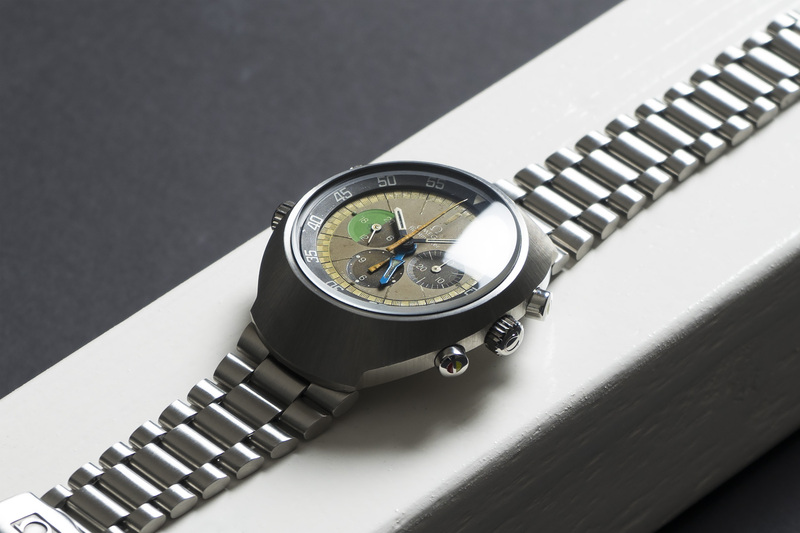 And that’s exactly what this watch is, a pilots chronograph watch with GMT indication – A true tool watch! The watch we’re offering here is a Flightmaster (FM) with reference ST145.013. 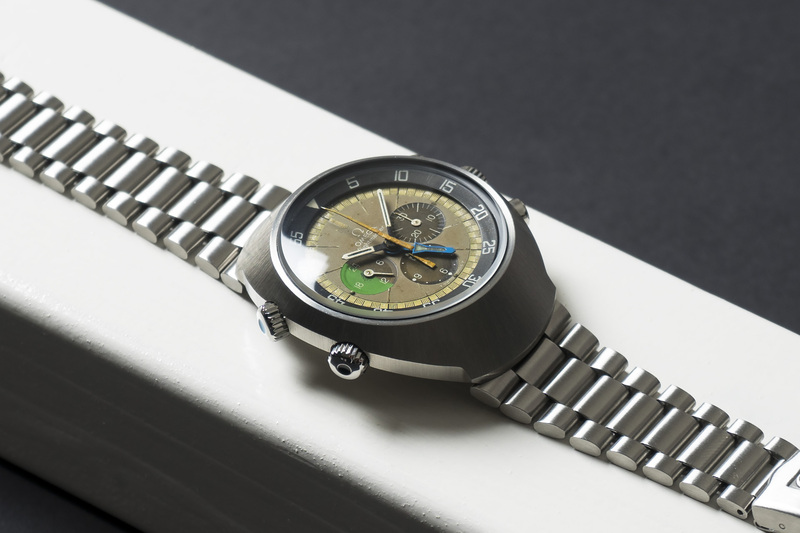 This early FM is stacked with complications such as an AM/PM indication, GMT, Chronograph and a totally enclosed movable bezel around the edge of the dial. In total, there are seven hands to be found telling you everything from the local time up to the elapsed time on an intercontinental flight, for instance. 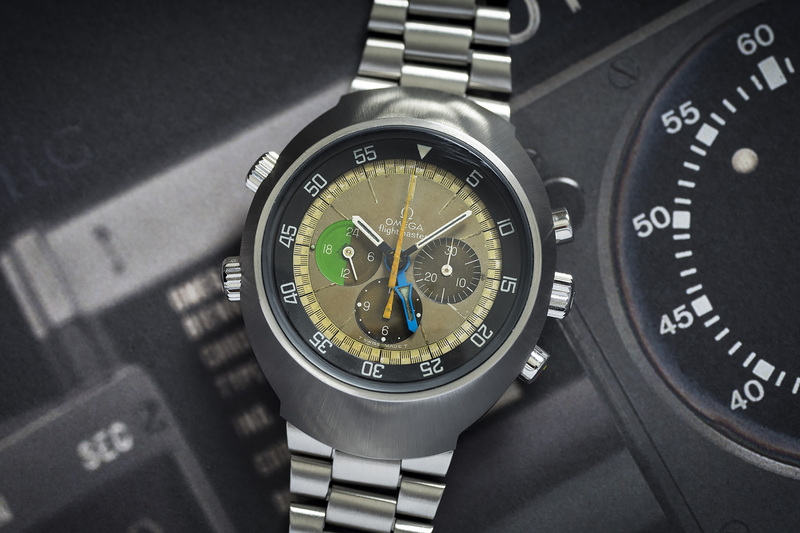 The 145.013 reference is powered by Omega’s manual caliber 910 which was in fact a highly modified caliber 861 manufactured in way to incorporate all the wonderful complications that make up the FM. 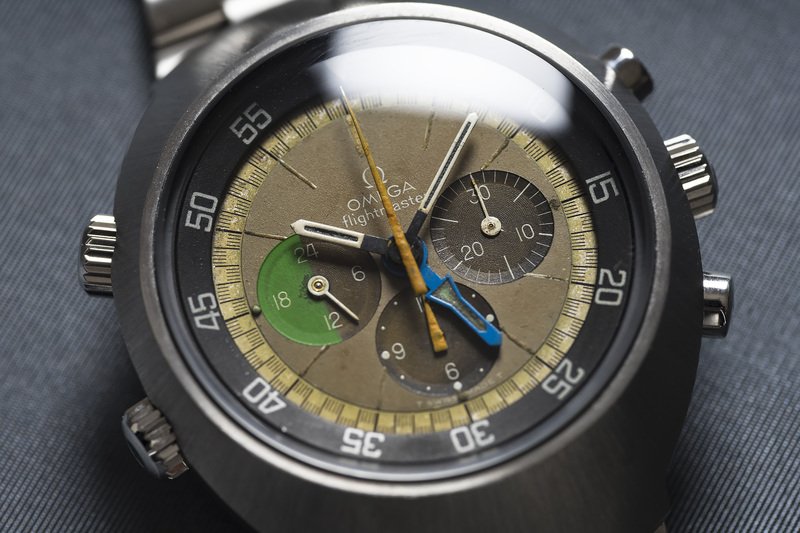 This truly is one of the most legible complicated watches around. The FM has colour coordinated pushers, all colour-coded to their function. 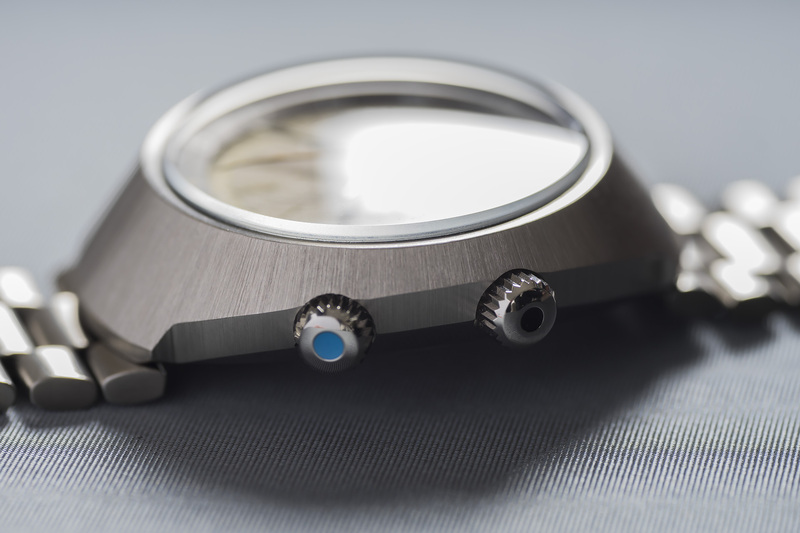 The crown with a Blue dot on the left side of the case moves the blue hour hand (the GMT hand) The other crown on the left side has a black dot, this crown moves the black enclosed 60 minute bezel. In addition, the pushers on the right side of the case also have indentations on them as well and feature yellow and orange colours. These are synced with the hands to the sub-registers to indicate the chronographs elapsed time. Now, since our FM has a Tropical dial with Tropical registers, not all colors match anymore, but i’m sure you’ll get the general idea. 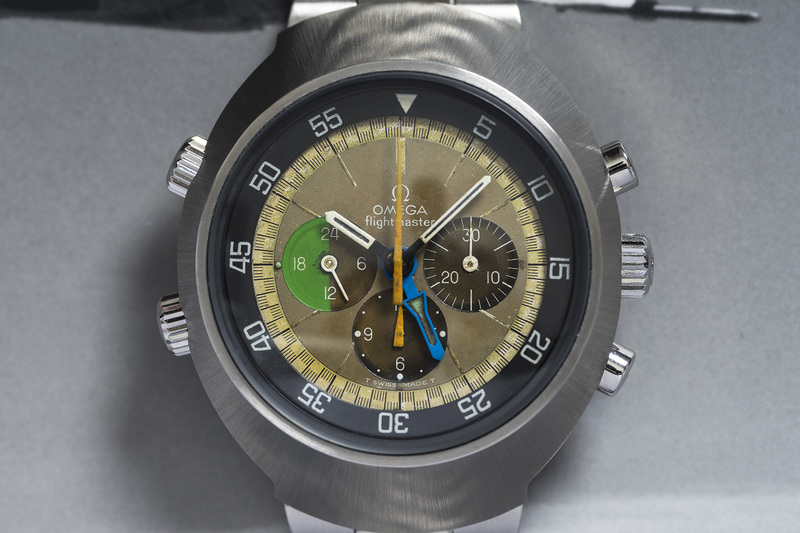 Look closely and you can see there is no active running seconds hand at the nine o’clock position, instead Omega modified the 910 caliber in a way to outfit the the nine o’clock sub-dial with a AM/PM indication – very cool! 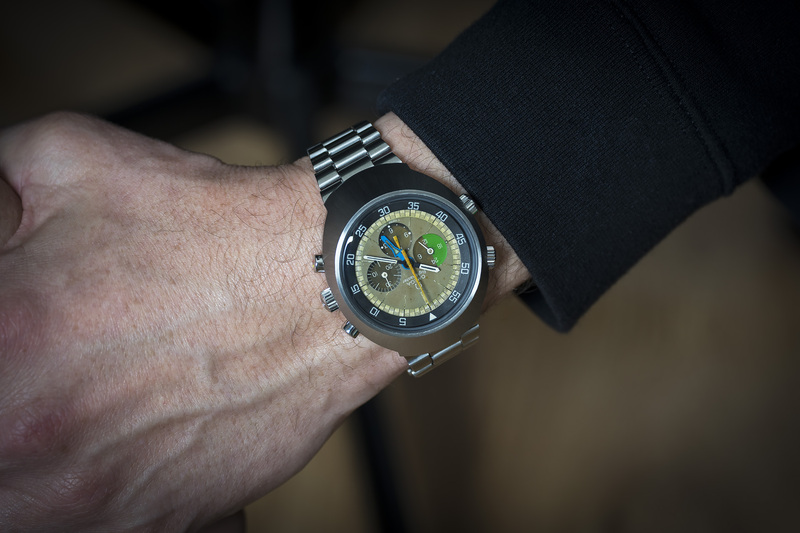 If the chronograph is not engaged, it actually looks like the watch just isn’t running – I personally find this to be one of the cooler features on these 145.013’s. The case-back of the FM is decorated with an outline of a DC-8 super 61 jet. The Douglas DC-8 is an American four-engine long-range narrow-body jet airliner built from 1958 to 1972 by the Douglas Aircraft Company. 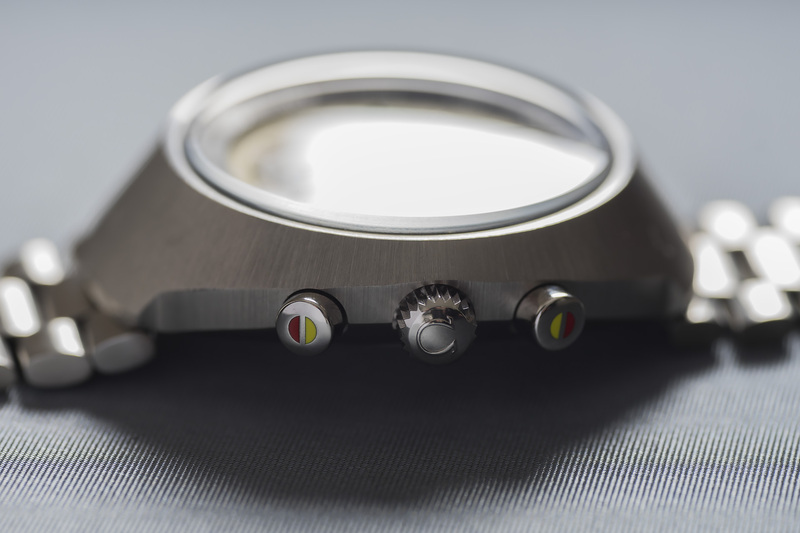 This outline in the case back was done to strengthen the watch its position as a true pilots watch. The condition of this Omega Flightmaster with its beautiful and exotic caramel dial and Tropical sub-dials is truly excellent with a strong case and amazing dial. The watch was fully serviced and overhauled by our watchmakers and will be available with a twelve month warranty.